Fiix is a cloud-based computerized maintenance management system (CMMS) software that enables users to organize, schedule, and monitor their maintenance activities. It can be customized to fit the needs of a business and can be accessed in real-time on any mobile device. In this article, we cover user reviews and pricing. Ready to try Fiix? Request for a demo. Users who gave Fiix a positive review appreciate that it offers great value for money because of its many useful features. Some also like that the software is cloud-based, which not only enables them to track tasks in real-time but also reduces expenses on hardware and devices. Users who gave Fiix a negative review commented that there is a bit of a learning curve at the beginning due to its robust set of features. Some also said that its technical support staff is not quick to respond to queries. Fiix offers four subscription plans: Basic ($40/user/month), Professional ($60/user/month), Enterprise (custom priced), and Performance (custom priced). Basic and Professional plans provide one month of free subscription if paid annually. The main difference between the plans is the inclusion of advanced features such as multi-site management, custom branding, and custom API integrations. The Performance plan provides a complete solution for large corporations with multiple users and teams, and its features may be added to the Basic, Professional, and Enterprise plans. Contact their sales team to find out more. Ready to try out Fiix? Request for a demo. Can I try Fiix before I subscribe? Yes. Fiix allows interested users to test its Professional version at their own pace via its free tour. You may also take part in one of the software’s live product demos to learn about its features. What type of support is included in Fiix’s subscription plans? All subscribers have access to the software’s help center, in-application video tutorials, and email and phone support during regular business hours. Not sure if Fiix is the right fit for you? Read our reviews of all top CMMS providers or check out one of these three Fiix competitors. Disclaimer: The following information was provided by Fiix and does not necessarily reflect the views of FitSmallBusiness.com. Fiix Inc. provides market leading and innovative maintenance management software. 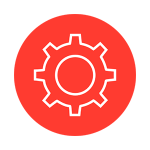 Design for operations and production, Fiix creates easy-to-use, intelligent software that empowers businesses to organize their maintenance departments and turn data into actionable insights. 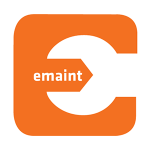 Its innovative multi-tenant cloud-based CMMS mobilizes the maintenance workforce with an unparalleled mobile experience and seamlessly interfaces with enterprise software to connect your entire organization—revolutionizing how thousands of companies worldwide schedule, organize, and track maintenance. We offer our customers a comprehensive suite of support that includes a customer success manager for strategic direction, a customer support team for technical issues, and a professional services team for implementation and configurations. We ensure that every single Fiix customer has access to all three types of support to help our customers get the most value out of their CMMS. In 2018, our Customer Satisfaction Score was 99.7%, so whether you’re a long time customer looking for some help, or a newbie in need of hands-on CMMS training, we’ve got the services to enable your success. What makes Fiix stand out from the competition? Fiix’s uniquely cloud-based and multi-tenant CMMS is leading a digital shift in the industry. 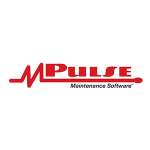 Whether you’re looking to organize assets and manage work, or connect to business systems and make data-driven decisions, we partner with you to give you the tools to evaluate, buy, implement, and integrate software, and start your reliability journey. 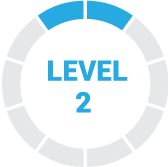 Fiix offers three software subscription tiers for organizations of all sizes and stages. Our software is designed to grow with your organization. We ensure that no matter where you are in your asset reliability journey, you will find a solution that fits best for your organization. We put our customers first and we are dedicated to your success. We offer comprehensive support services in order to enable our customers to transform their maintenance departments into value centers. Our simple subscription-based pricing is 100% transparent and we do not include hidden fees. It is easy to browse the website and see the functions available to me. All our equipment is easy to access and update. The program helps me with my daily duties and responsibilities, as well as with incidental activities such as checking certain equipment. I would like to see more graphs of the reports. Some reports come in international sizes, which makes it a challenge to print them on our printers. The structure of licenses. We would like the largest possible number of people to use the software, but we must limit users due to the high cost of user licenses. The integration points with the service request, the companies, the inventory, the control of the purchase order and the reports. These are at the top of our list, however, many other features make our jobs easier. It would be nice if our service technicians could take a picture after their completed work and add it to the work order without problems, such as the service request. It is an intelligent program, has good integration capacity and also has a modern design. We like to use Fiix because it is good in its own and for our company. It works wonderfully, there is nothing we can say that we do not like, although we are really a bit unhappy because when you use it from your cell phone it is less easy to use, it is confusing. 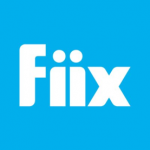 We thought that so many recommendations and positive comments hid the mistakes of Fiix but we did not find any, we like Fiix and everything that it brings. It gives us the facility to be able to use your options quickly because you do not need so much effort to allow you to use this application without complications. The login is not as easy as it is with other programs, also this detail has that from time to time it disconnects you only and you have to log in again. Nothing because we know that Fiix is a program that will continue to change, which we hope will be better and also because our expectations were not high but still managed to satisfy us.